Jeffrey Buehler joined Prague College at its very beginning and was instrumental in each of the phases that have marked its development since 2004. In recognition of his crucial role in setting up the direction of the college and its environment and culture, he was given an Honorary Founder award at the graduation ceremony in 2009. He is currently Head of Academic Services and lectures in the MSc International Management programme at Prague College. Prior to joining the college, Jeff was deeply involved in the Czech and international art scenes. For almost five years he edited the contemporary art magazine Umělec International, helping to bring it to audiences around the world. He produced, edited or translated a number of books by renowned Czech artists and poets, including Martin Zet, David Černý, Jan Hísek, and Jiří Černický. For nearly two years he worked with a team of curators and translators from the Museum of Decorative Arts in Prague and publishing house Argo to publish the exclusive monograph of artist and graphic designer Ladislav Sutnar. He has published essays on contemporary art in newspapers and magazines around Europe. In 2003, Divus Studios published his first book of poetry. 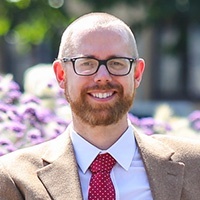 Jeff holds a BA in English from the University of Wisconsin, Madison and a postgraduate MA in Applied Educational Leadership and Management with the Institute of Education, University of London.